This leg-strengthening machine builds pedal-pushing muscle and boosts cardio. Across almost all disciplines, you’ll hear people say, “Train for your event.” Basically, that means if you’re a runner, you should run. Lifters should lift. Bikers should bike. All that is true. 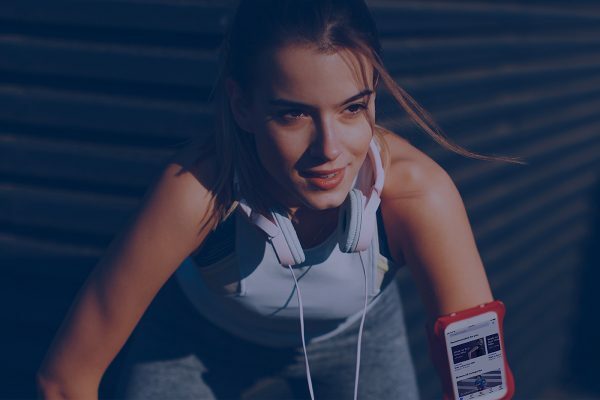 But if you want to increase your overall health and fitness level, as well as improve your event performance, mixing in other forms of activity is a great way to push past plateaus and keep your muscles guessing. One example is using the stair climber to improve cycling. 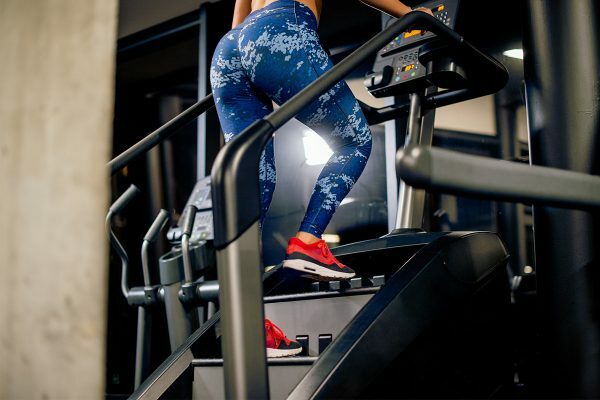 The stair climber is a good all-around workout—one that torches your legs and glutes while providing some serious cardio. Sure, it can be event-specific if you’re training for an altitude climb. Or if you work on the 50th floor of your building and the elevator’s out. But most people hop aboard the stair climber for a functional, calorie-burning workout. Find out how cyclists can use the stair climber to improve cycling. 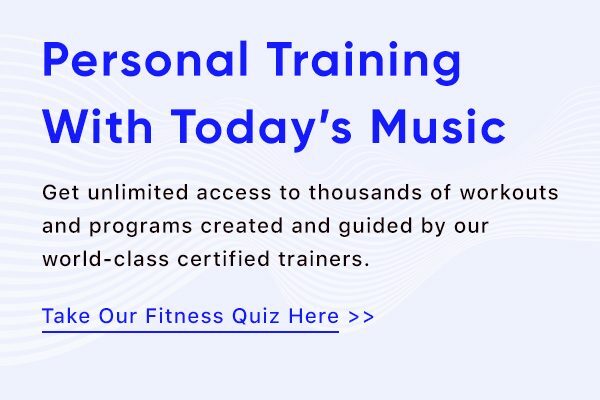 “The stair climber essentially uses the same muscles as the bike,” says Aaptiv trainer Kelly Chase. “By using the stair climber, you’re strengthening your quadriceps and gluteal muscles. It’s these muscles that truly make your bike ride a powerful one. Otherwise, if your quads and glutes are not strong, your performance on the bike will be hindered.” So, although the two activities may seem completely different, all that climbing up a never-ending stream of stairs translates to pushing down on bicycle pedals. In addition to these muscle-specific benefits, climbing stairs can also be used to increase cardio and endurance. 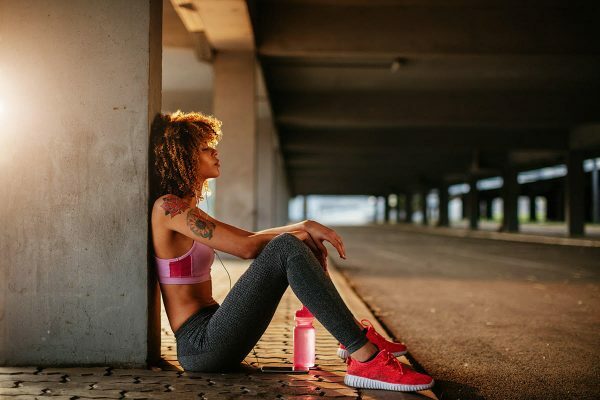 A study in the British Journal of Sports Medicine found that over an eight-week period, participants training on stairs experienced a 17 percent increase in VO2 max, or maximum aerobic capacity. The subjects increased their bodies’ ability to transport oxygen to the muscles—something vitally important when undertaking any intense physical activity. Use intervals to your advantage. She adds that intervals and multidirectional work can condition cyclists for uneven terrain, steep hill climbs, and sprints. “You definitely need to have strong legs and glutes to power through those unexpected conditions,” she says. How often should you use the stair climber? If you’re a serious cyclist, you need to spend a lot of time in the saddle. But for some full-body work that also benefits you while biking, try to schedule a couple off-the-bike days into your training calendar. “I believe everyone should cross-train. It works out different muscle groups differently and strengthens the muscles as a whole,” Chase says. “I suggest that a cyclist should implement non-cycling workouts such as the stair climber two to three times per week.” In addition to climbing, Chase notes that general strength training and yoga are highly recommended for cyclists to stay strong and flexible. 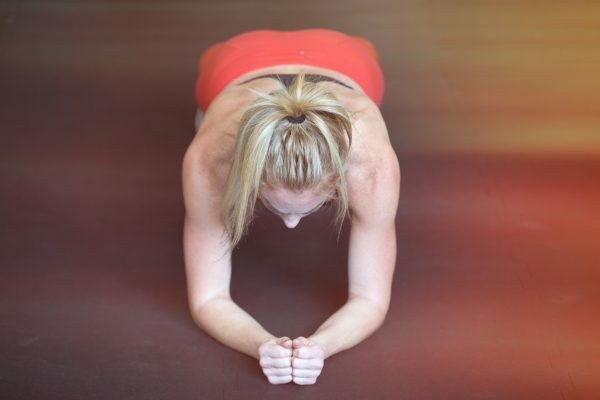 These exercises give you an opportunity to work some of those often neglected upper-body muscles. Try adding the stair climber into your rotation, and see how it impacts your cycling. In addition to building stronger legs and glutes for extra pedal-pushing power, mixing up your routine keeps the body healthy. Nothing cuts exercise short faster than injury, but boredom and burnout aren’t far behind. Spin cycle? Cold water? All your questions answered.